Remember the peppermint platters I made? Remember how I said I might make a pillow? I think it might have ended up a little on the big side, so keep that in mind when I give you the low down on how I made it. I cut 2 circles from the white fabric. Mine were approximately 18.5”. I already had a template cut that size from another project, so that’s what I went with. I also cut a 4.5” wide strip. It’ll need to be at least as long as the circumference of your pillow (Pi X the diameter) plus 1” for seam allowances. I cut 5 “swirl” pieces from the red fabric backed with Wonder Under. I used the piece from the template that does not have the line down the middle, but feel free to change that up however you want. I peeled off the Wonder Under and positioned my pieces on one of the white circles. And then I fused them in place following the product instructions. Next I satin stitched the edges of each piece down, except for the exterior edge, because those will be trapped in the seam allowances. My pieces don’t “meet up” in the middle, because I’m putting a button there. If you don’t want to use a button, you can make yours meet up. I only used piping on the top/front side of my pillow. I sandwiched it between the top piece and the edge piece and sewed all the way around. And then I sewed the back piece to the edge piece with no piping sandwiched between. That’s also when this happened and so I accidentally quit taking pictures at that point. I stuffed the pillow through with Polyfill through the hole where the 2 ends of the side piece met and then hand sewed it shut. I then attached a covered button and attempted to tuft it. There will be no tutorial for that on account of thread breaking and people swearing (hint: me). I bet if you Googled it, someone could help you! Very very cute!! Great job! This is so very cute!! I love it. I love it! I think it's totally okay that it's big! It's Christmas — it's all about bringing more Joy! That is super cute!! And I don't even like peppermint. I think it needs a spearmint sister. Awesome! I love the idea of the button in the middle because I can never make my pieces meet just right! This is so cute and I think you can use it all winter. I love this! And your couch reminds me of the one my mom recovered when I was a kid. Makes me miss home!!! LOVE IT!!! I am going to put it on my list of Crap to do. How cute! I bookmarked it so I can do it in the future. Great job! I love it! What type of fabric did you use? First, I love that you actually know that circumference is Pi X the diameter. (I would have just wrapped the measuring tape around…) Second, what is a satin stitch, and third, what is tufting? And I love it and am adding it to my miles-long to-do list, also. This is so incredibly cute! I linked to it over at my blog; http://sweetshopcreations.blogspot.com/2010/12/i-wish-i-could-sew.html. 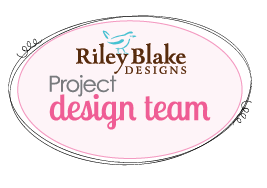 My logo is a big ol' peppermint just like this one! So cute! The geometry teacher in me loves that you included the formula for circumference! I think I'll have to use this an an example for when kids ask "When will we ever have to use this?!" I'm LOVING this pillow and can't wait to try my hand at it! You should check out my blog tomorrow (Monday) as I'm featuring your awesome blog on there! Holy cow. I love this idea. I featured it on my blog today! Love if you stopped by! And if you don't mind – while your there clicking on my widget. Each click we get P&G is donating 1 days worth of water! Thanks! Another great pillow project, love it! Love it! It would great on my red sofa year round. Smart smart smart!!! Wonderunder is fabulous but I forget about it! So cute! Piping scares me to try and sew, but I love this. Super cute! Thanks for the template, I'll be linking. SO cute! Looks like peppermint crafts are the trend this year in the blogging world! such a cute idea!! I would love for you to link up to my christmas post! The form that must be filled out is the FMVT 26-15 which must be accompanied by the inspection fee and old title of the vehicle. your treasured vehicle when it dies and hits the pavement.